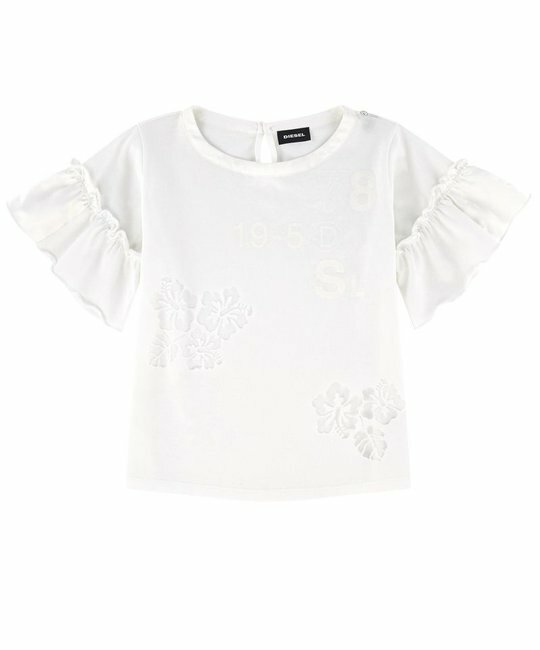 Diesel soft cotton white top with ruffled sleeves and embellished floral detailing. 100% Cotton. Imported.